Reduce your risk of Dry Eyes! 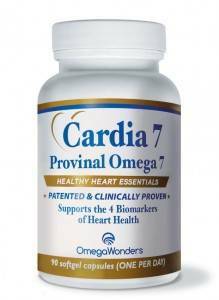 Buy a One Time Purchase of a 3 months supply of Cardia 7 Provinal Omega 7 for $60 plus shipping. Get a subscription for a 3 Months supply of Cardia 7 Provinal Omega 7 automatically shipped to you every 3 months for $60 and FREE Shipping. Omega-7 fatty acids are unsaturated fatty acids found in fish such as salmon and oils such as olive oil. In their natural source, omega-7 contain about the same amount of Palmitoleic acid (the good form) and Palmitic acid (the bad form). Cardia-7 contains 50% Palmitoleic acid and less than 2% Palmitic acid, so you are getting the very highest concentration of good Omega-7 available. The only Omega 7 to earn the five star IFOSP rating from the International Fish Oil Standards Program. No fish taste or smell. Highly purified, without the “bad fat” -palmitic acid free. 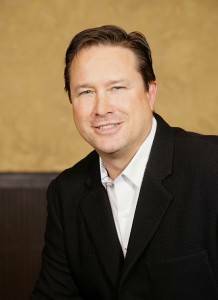 How Do Omega-7’s Help With Dry Eyes? One of the reasons why we experience dry eyes is because of low moisture in our eyes. As we age or change due to life cycle events such as pregnancy our bodies chemistry changes which can cause dry eyes. Most cases of dry eyes can be split into two categories. One is deficiency in moisture and tears creation, and the second is where the composition of the tear film causes the eye to dry out to quickly. Omega-7 has been highly researched in its ability to solve the underlying causes for dry eyes. They have been shown to reduce dryness caused by inflammation and improve tear secretion. Furthermore a healthy balance of fats help your meibomian gland produce a healthy tear secretion which will be less likely to dry out. In a recent study of women with Sjorgen’s disease which causes sever dry eyes, Omega-7 were extremely effective at reducing discomfort when compared to a placebo supplement.